The New York Public Library has been an essential provider of free books, information, ideas and education for all New Yorkers for more than 100 years. 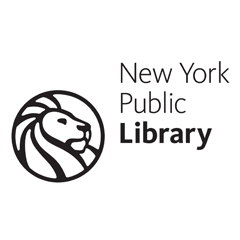 Founded in 1895, NYPL is the nation’s largest public library system, featuring a unique combination of 88 neighborhood branches and four scholarly research centers, bringing together an extraordinary richness of resources and opportunities available to all. Serving more than 17 million patrons a year, and millions more online, the library holds more than 55 million items, from books, e-books and DVDs to renowned research collections used by scholars from around the world. Housed in the iconic 42nd Street library and three other research centers, NYPL’s historical collections hold such treasures as Columbus’s 1493 letter announcing his discovery of the New World, George Washington’s original Farewell Address and John Coltrane’s handwritten score of “Lover Man.” NYPL’s neighborhood libraries in the Bronx, Manhattan and Staten Island — many of which date to Andrew Carnegie’s visionary philanthropy at the turn of the 20th century — are being transformed into true centers of educational innovation and service, vital community hubs that provide far more than just free books and materials. The library's Adult Programming and Outreach Services department works with staff across the circulating branch system to provide centralized resources that support the diverse needs of patrons from all walks of life.